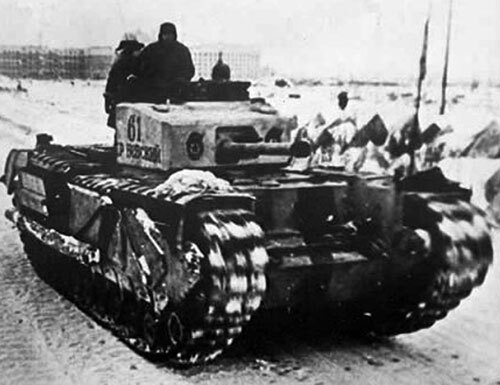 On Jan. 11, 1942, the few surviving tanks of the Panzer-Abteilungen 103, a tank battalion, sat in the snow alongside soldiers from the 29th Infantry Division west of Stalingrad as the Soviet forces closed in. After the German 6th Army won the fight for the city, a Soviet counterattack surrounded the German army, eventually destroying it. The almost medieval-like march of the Red Army was a sign of Soviet strength and confidence when closing in on the trapped Germans — but also a mistake, given the firefight to follow. Military historian Jason Mark describes this scene and quotes Leyser’s firsthand account in Panzerkrieg: German Armored Operations at Stalingrad Vol .1, the first in a series of enormous and comprehensive books covering the German 6th Army’s dozen tank battalions during the battle. The first volume covers three battalions including Panzer-Abteilungen 103. The battalion was formed in February 1942 from veteran tank crews hardened by fighting in France and the Eastern Front. Some of the officers, Mark writes, were volunteers for the risky but aborted Operation Sea Lion invasion of Britain, marking these officers as among the best in the German army. Many of them had been killed in months of fighting before the clash near Kazachi Hill. There, the Soviet tanks easily rolled over the German lines, concentrated around an area of hollow ground, but then met stiffer opposition. A German anti-tank gun opened up — inflicting losses — and exposed its position, which the Soviets “then shot up and ran over.” Smashing their way deeper into the German defensive areas, the Churchills came within range of the 29th Infantry’s 7.5-centimeter guns. With the Soviet tanks under fire, the Panzer-Abteilungen 103’s four Panzer III and IV tanks in the area sprung into action on the Soviet flank, firing their cannons and penetrating the Churchills’ hulls. “Most of them [the Soviet tanks] went up in flames, the crews trying to bail out of their tanks were shot down by the grenadiers who had been … placed along the northern edge of the hollow,” Leyser wrote. The combination of tank and anti-tank fire drove off the surviving Churchills. A German infantry counterattack then raked fire into the Soviet soldiers who had followed the armored push. In total, the Soviet losses numbered anywhere from 16 to 32 Churchill tanks — sources vary — and an indeterminate amount of infantry, according to Mark’s history. 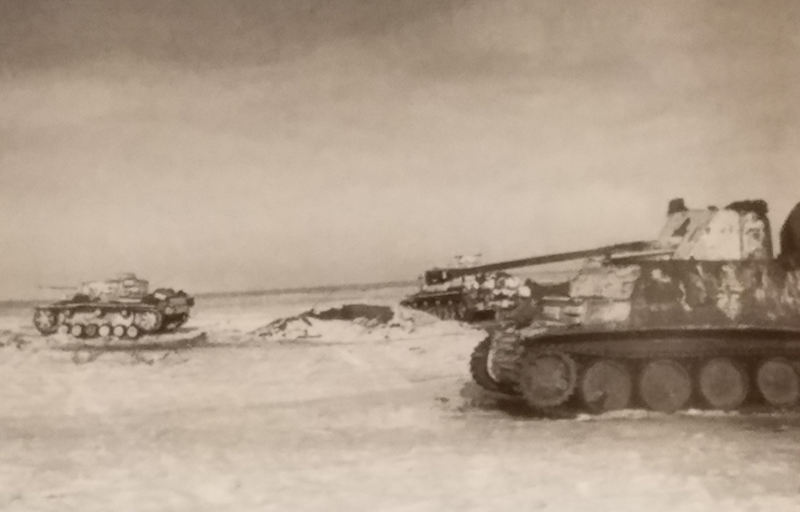 The Soviet unit, the 47th Guards Breakthrough Tank Regiment, lost 13 officers and “became the fourth Soviet formation equipped with Lend Lease tanks to be utterly demolished by Panzer-Abteilung 103,” Mark writes. The battalion’s contributor to the victory was short-lived. By the end of the January, the Soviets had pushed farther, narrowing the Stalingrad pocket and forcing the battalion to surrender. The fate of hundreds of its soldiers — who were still accounted for at the unit’s surrender — is still unclear, although it’s presumed most died in captivity.